Lake Como. Tremezzina - Mezzegra. 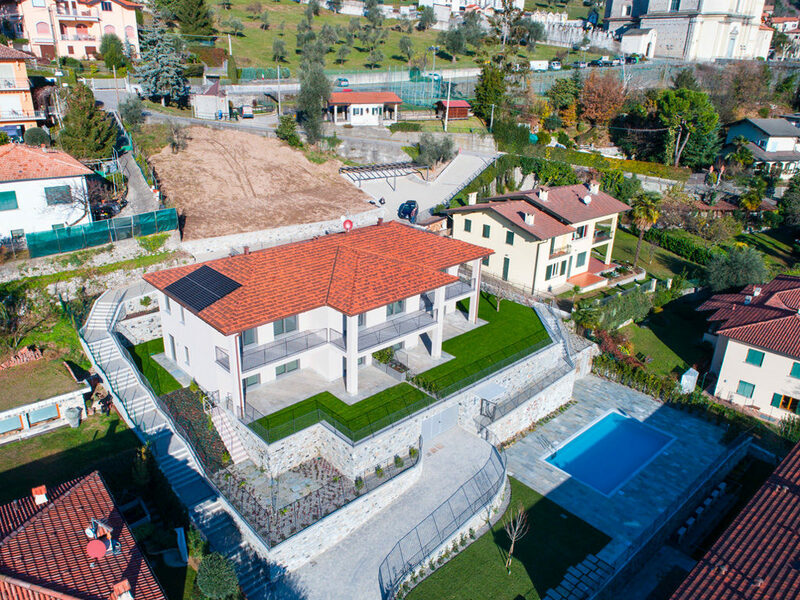 In a strategic position at the central point of Lake Como and looking onto an extraordinary panorama, the New residence is located at Tremezzina – Mezzegra, on the splendid banks of the lake. The New residence has been created to provide high housing comfort with particular attention to details and choice of materials as well as to the aspect of energy saving. Surrounded by green, with private gardens and large terraces, the Residence is a place of peace and safety. 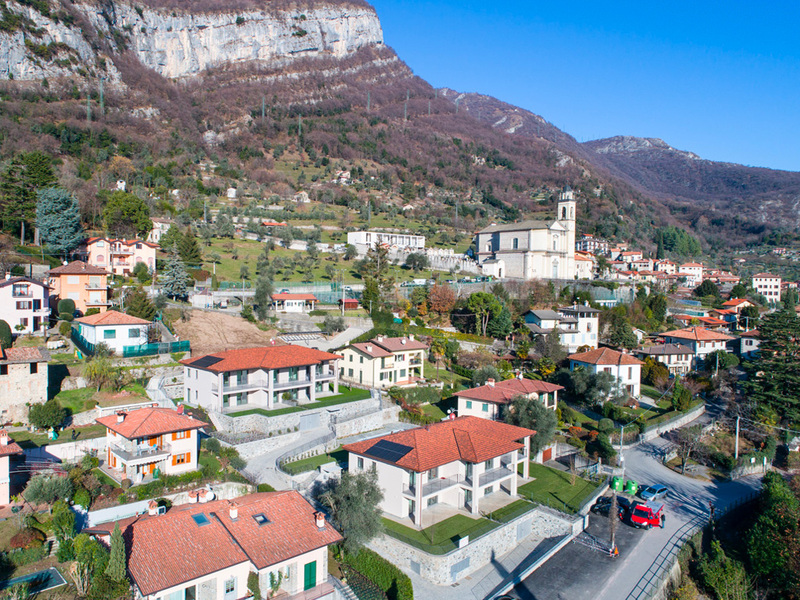 Its especially favourable location means that you can leave your car in the confortable garages and easily reach on foot any of the attractions or services available in the Municipality of Mezzegra (Tremezzina). 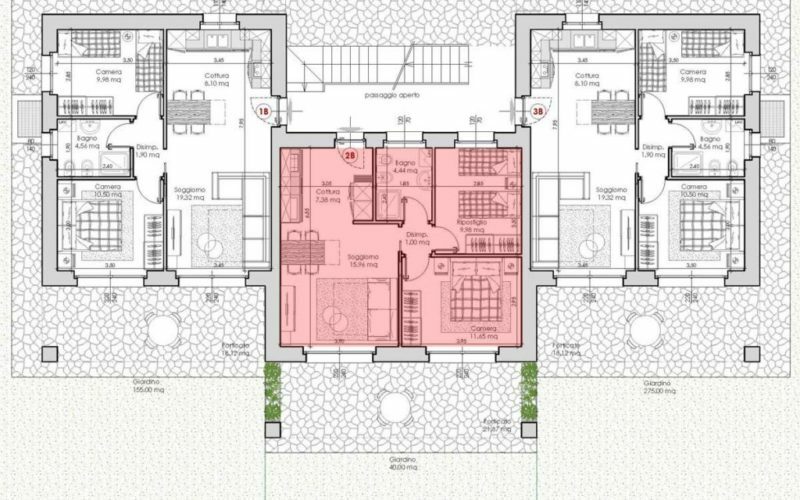 The exclusive new-build residence consists of two houses with a shared outdoor swimming pool, private outside space and private garages. The area is ideally-suited for year-round residency and luxury holiday breaks. The properties are well finished, with exceptional building materials. Solar energy, fully air conditioned and heating, modern equipments, etc. 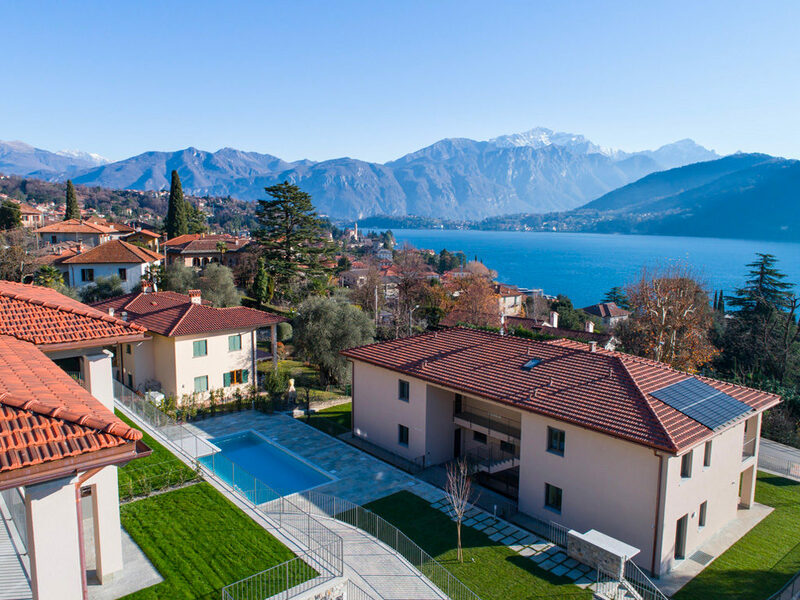 The fascinating lakeside village offers a range of local conforts itself, including a grocery shop, bakery, supermarkets, cafes, a small working marina, children’s park and a frequent western shore bus service to Como and Menaggio. The famous Greenway del Lago trail passes through the village, while other accessible nearby hiking routes include San Martino in Griante and the Sacro Monte di Ossuccio. 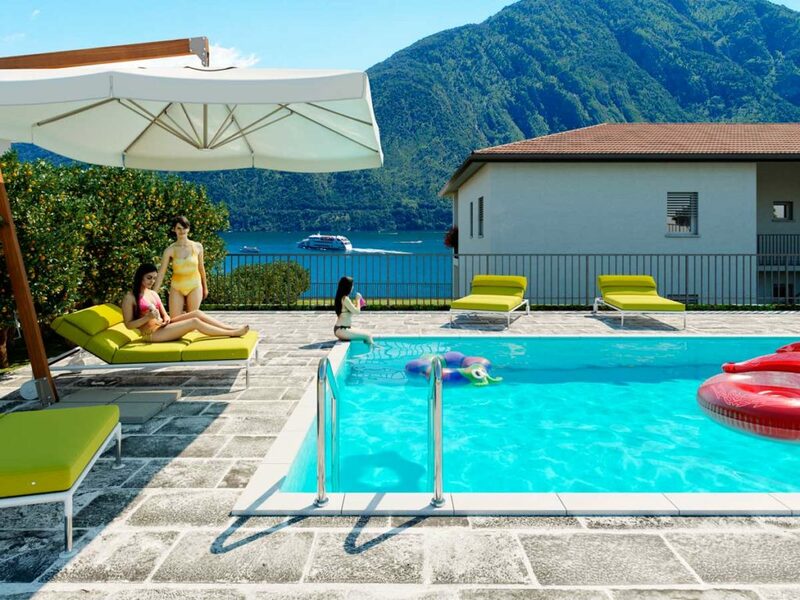 Mezzegra also neighbours the lovely well-serviced lake village of Lenno, which offers a great selection of restaurants, the fashionable Lido di Lenno and the famous Villa Balbianello attraction. 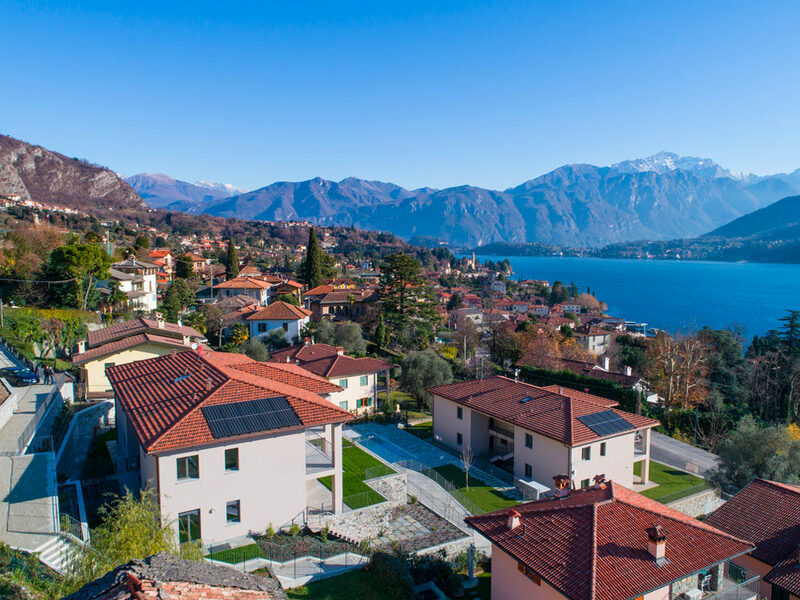 To the other side is the popular town of Tremezzo, which is home to a wide range of lake view restaurants, wine bars, a beautiful lakeside park and the famous Villa Carlotta attraction. 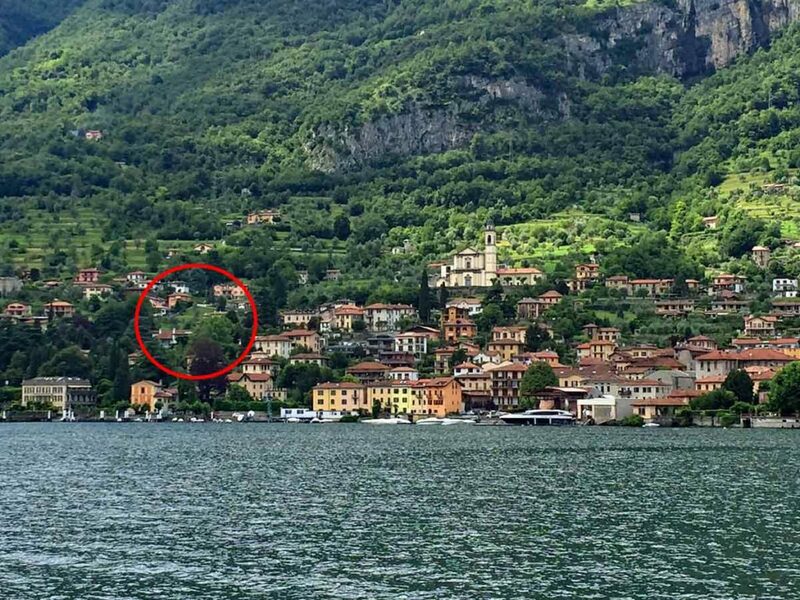 The touristic central lake resorts are within easy reach of Mezzegra; with the romantic appeal of Varenna, pretty Menaggio and beautiful Bellagio just a ferry ride away, from the nearby ferry port in Cadenabbia (7 minute drive away). The surrounding area also offers opportunities for windsurfing, sailing, kayak and boat hire, tennis, cycling, golf, horse riding, Lido days, wine tasting, fine dining and cookery lessons. The Italian Alp ski resorts of Madesimo and Piani di Bobbio are within easy reach too; while the cosmopolitan city highlights of Lugano and Como are both within an easy reach by car or bus, 50 minutes away. 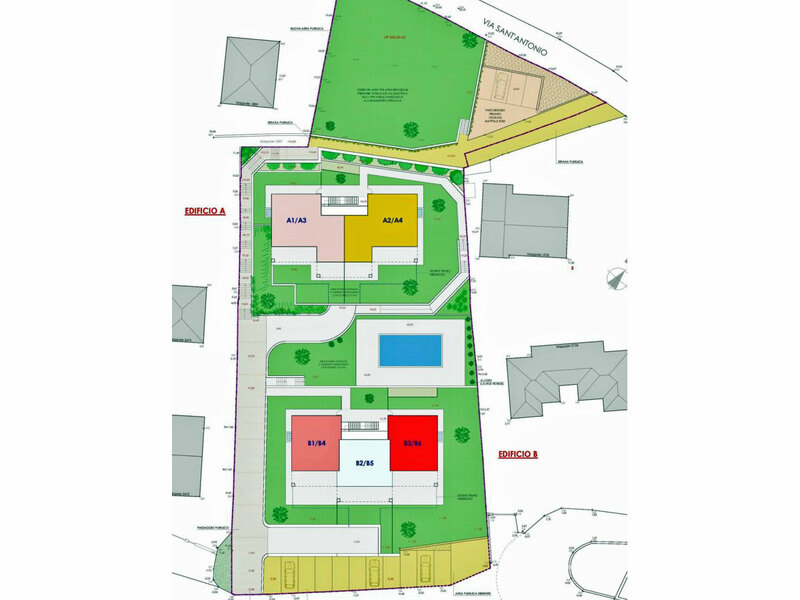 The building is certified Energetic Class A4 – building NZEB. The “near zero energy building” (NZEB) is a property with a very high energy performance, characterized by high-performance insulation and windows and high-performance systems. 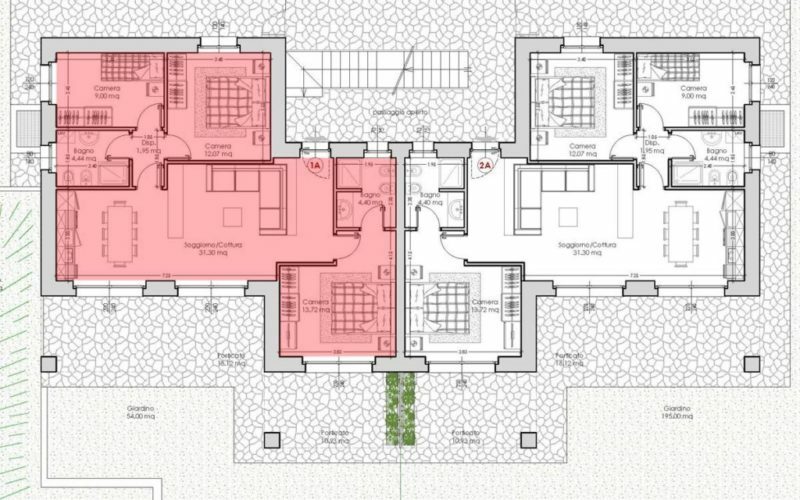 The energy required to reach a state of comfort is very low, the remaining is covered to a significant extent from renewable sources inside the property boundary. CONDOMINAL INTERNET . The building is already equipped with the singles flats cabling. 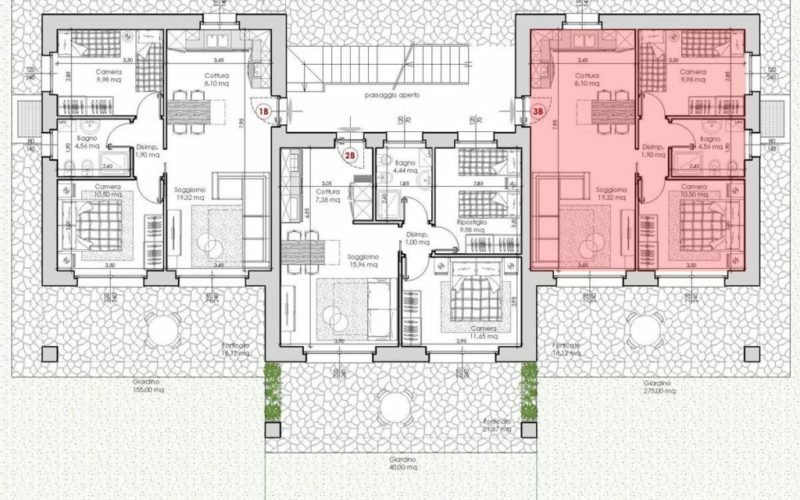 Each owner will be able to be connected to the condominium network! CLICK ON THE MAP TO DISCOVER THE PRICE AND DETAILS. 129 mq apartment at the ground floor composed of living room with corner kitchen, three bedrooms, hallway, two bathroom, large porch and private garden. Garage and cellar in the basement. 81 mq apartment at the ground floor composed of living room with corner kitchen, two bedrooms, hallway, bathroom, large porch and private garden. Garage and cellar in the basement. 94 mq apartment at the ground floor composed of living room with corner kitchen, two bedrooms, hallway, bathroom, large porch and private garden. Garage and cellar in the basement. From its peaceful hillside setting, the local services of authentic Mezzegra are close to hand. Mezzegra offers a host of local grocery shops, 2 cafes, a bakery and boat yard, as well as a frequent bus service to Menaggio and Como. 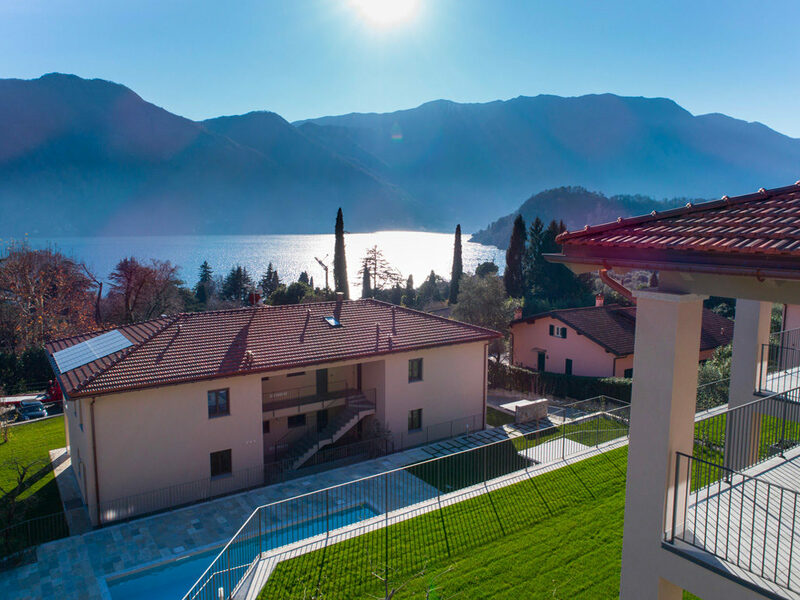 The authentic lake village also boasts close proximity to Tremezzina’s many restaurants, the Villa Carlotta and Balbianello attractions, many beautiful hiking routes and the car and passenger ferry stop at Cadenabbia. A treasure trove of Central Lake attractions and activities are easily within reach, including lake swimming, Lidos, boat hire, kayak rental, sailing clubs, golf, tennis, hiking, cycling, extreme sports and access to the Italian Alp ski resorts. Tremezzina, is situated on the Western side of Lake Como half way between the town of Como and the Northern end of the lake. This beautiful town extends itself between the shores of the lake, with its famous villas with their magnificent gardens such as Villa Carlotta and Villa Balbianello, and the hilly hinterland where the climate is so mild that it favours the cultivation of olive groves. Just behind Tremezzina lie the mountains with peaks as high as 1700 m (rif. 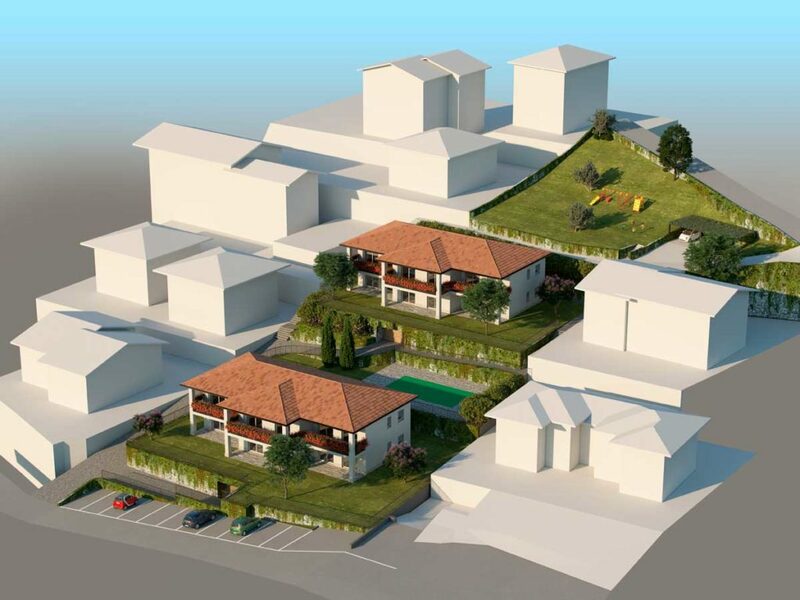 apartments tremezzina). Tremezzina is a new municipality that has been instituted in 2014 and is the result of a fusion of the municiplaities of Tremezzo, Mezzegra, Lenno and Ossuccio. Their centres are a criss cross of ancient cobble stone alleys where you can breath history, leading to ancient Romanesque churches such as the church of S. Giacomo and beautiful 17th century palaces. From the village centres ancient muletracks wind their way up to Sanctuaries such as the Sacro Monte of Ossuccio and monasteries and from there to the alpine pastures where the farms are still active in making excellent cheese. The town of Tremezzina is crossed through by the Green Way, a gentle and easy walking route accurately signposted. What better way to get to know this charming commune by following this route that allows you to get to know its natural and artistic beauties. During the evenings musical events such as the famous “Tremezzo Music Festival” at the Parco Olivelli or interesting classical concerts at the Villa Carlotta animate the town. Not to forget the famous Sagra di S. Giovanni on the Island Comacina in front of the village Ossuccio with its splendid fire works and the Sagra del Missoltin (typical dried fish of the lake) in the village Mezzegra. The Municipality disposes over a lido and some free public beaches.